The text is taken from a copy of Anarchy and the Anarchists by Michael J. Schaack. The copyright is dated 1889 by F.J. Schulte & Company, Chicago, Illinois. The Beginning of Anarchy - The German School of Discontent - The Socialist Future - The Asylum in London - Birth of a Word - Work of the French Revolution - The Conspiracy of Babeuf - Etienne Cabet's Experiment - The Colony in the United States - Settled at Nauvoo - Fourier and his System - The Familistere at Guise - Louis Blanc and the National Work-shops - Proudhon, the Founder of French Anarchy - German Socialism: Its Rise and Development - Rodbertus and his Followers - "Capital," by Karl Marx - The "Bible of the Socialists" - The Red Internationale - Bakounine and his Expulsion from the Society - The New Conspiracy - Ferdinand Lassalle and the Social Democrats - The Birth of a Great Movement - Growth of Discontent - Leaders after Lassalle - The Central Idea of the Revolt - American Methods and the Police Position. The conspiracy which culminated in the blaze of dynamite and the groans of murdered policemen on that fatal night of May 4th, 1886, had its origin far away from Chicago, and under a social system very different from ours. In order that the reader may understand the tragedy, it will be necessary for me to go back to the commencement of the agitation, and to show how Anarchy in this city is the direct development of the social revolt in Europe. After "the red fool fury of the French" had burnt itself out, the nations of the Old Word, exhausted by the Titanic struggle with Napoleon, lay quiet for nearly a quarter of a century. The doctrines which had brought on the Reign of Terror had not died. After a period of quiet, the evangel of the Social Revolution again began. There was uneasiness throughout Europe. In France the Bourbons were driven out, although the cause of the people was betrayed by Louis Napoleon. In Germany the demand for a constitution was pushed so strongly that even the sturdy Hohenzollerns had to give way before it. In Hungary there was a popular ferment. Poland was ready for a new rising against Russia. In Russia the movement which subsequently came to be known as Nihilism was born. In Italy Garibaldi and Mazzini were laying the foundations for the throne which the house of Savoy built upon the work of the secret societies. Nor must the reader believe that all this turmoil had not beneath it real grievances and honest causes. The peasantry and the laboring classes of Europe had been oppressed and plundered for centuries. The common people were just beginning to learn their power, and, while the excesses into which they were led were deplorable, it is not difficult to understand the causes which made the crisis inevitable. There is nothing ever lost by endeavoring to enter fairly and impartially into another's position - by trying to understand the reasons which move men, and the creeds which sway them. Anarchy as a theory is as old as the school men of the middle ages. It was gravely debated in the monasteries, and supported by learned casuists five centuries ago. As a practice it was first taught in France, and later in Germany. It caught the unthinking, impressible throng as the proper protest against too much government and wrong government. It was ably argued by leaders capable of better things, - men who turned great talents toward the destruction of society instead of its upbuilding, - and the fruit of their teachings we have with us in Chicago to-day. Our Anarchy is of the German school, which is more nearly akin to Nihilism than to the doctrines taught in France. It is founded upon the teachings of Karl Marx and his disciples, and it alms directly at the complete destruction of all forms of government and religion. It offers no solution of the problems which will arise when society, as we understand it, shall disappear, but contents itself with declaring that the duty at hand is tearing down; that the work of building up must come later. There are several reasons why the revolutionary programme stops short at the work of Anarchy, chief among which is the fact that there are as many panaceas for the future as there are revolutionists, and it would be a hopeless task to think of binding them all to one platform of construction. The Anarchists are all agreed that the present system must go, and so far they can work together; after that each will take his own path into Utopia. Their dream of the future is accordingly as many-colored as Joseph's coat. Each man has his own ideal. Engels, who is Karl Marx's successor in the leadership of the movement, believes that men will associate themselves into organizations like cooperative societies for mutual protection, support and improvement, and that these will be the only units in the country of a social nature. There will be no law, no church, no capital, no anything that we regard as necessary to the life of a nation. The theory of Anarchy will, however, be sufficiently developed in the pages that follow. It is its history as a school which must first be examined. England is really responsible for much of the present strength of the conspiracy against all governments, for it was in the secure asylum of London that speculative Arnatchy was thought out by German exiles for German use, and from London that the "red Internationale" was and probably is directed. This was the result of political scheming, for the fomenting of discontent on the continent has always been one of the weapons in the British armory. In England itself the movement has only lately won any prominence, although it was in England that it was baptized "Socialism" by Robert Owen, in 1835, a name which was afterwards taken up both in France and Germany. The English development is hardly worth consideration in as brief a presentation of the subject as I shall be able to give. Before passing to an investigation of the growth and the history of Socialism and Anarchy, I wish to express here, once for all, my obligations to Prof. Richard T. Ely's most excellent history of "French and German Socialism in Modern Times." This monograph, like everything else which has come from the pen of this gifted young economist, contains so clear a statement and so complete a marshaling of the facts that it is not necessary to go beyond it for the story of continental discontent. The French Revolution drew a broad red line across the world's historyIt is the most momentous fact in the annals of modern times. There is no need for us to go behind it, or to examine its causes. We can take it as a fact - as the great revolt of the common people - and push on to the things that followed it. Babeuf - "Gracchus" Babeuf, as he called himself - after serving part of a term in prison for forgery escaped, went to Paris in the heat of the Revolution, and started The Tribune of the"People, the first Socialistic paper ever published. He was too incendiary even for Robespierre, and was imprisoned in 1795. In prison he formed the famous "Conspiracy of Babeuf," which was to establish the Communistic republic. For this conspiracy he and Darth6 were beheaded May 24,1797. Etienne Cabet was a Socialist before the term was invented, but he was a peaceful and honest one. He published, in 1842, his "Travels in Icaria," describing an ideal state. Like most political reformers, he chose the United States as the best place to try his experiment upon. It is a curious fact that there is not a nation in Europe, however much of a failure it may have made of all those things that go to make up rational liberty, which does not feel itself competent to tell us just what we ought to do, instead of what we are doing. Cabet secured a grant of land on the Red River in Texas just after the Mexican War, and a colony of Icarians came out. They took the yellow fever and were dispersed before Cabet came with the second part of the colony. About this time the Mormons left Nauvoo in Illinois, and the Icarians came to take their places. The colony has since established itself at Grinnell, Iowa, and a branch is at San Bernardino, California. The Nauvoo settlement has, I believe, been abandoned. Babeuf and Cabet prepared the way for Saint Simon, He was a count, and a lineal descendant of Charlemagne. He fought in our War of the Revolution under Washington, and passed its concluding years in a British prison. He preached nearly the modern Socialism, -the revolt of the proletariat against property, -and his work has indelibly impressed itself upon the whole movement in France. Charles Fourier, born in 1772, was the son of a grocer in Besancon, and he was a man who exercised great influence upon the movement among the French. He was rather a dreamer than a man of action, and, although attempts have been made to carry his famllist~re into practice, there is no conspicuous success to record, save, perhaps, that of the familist~re at Guise, in France, which has been conducted for a long time on the princ 1ples laid down by Fourier. All these men had before them concrete schemes for a new society in which the evils of the present system would be avoided by what they considered a more equable division of wealth, and each made the eff I ort to carry his scheme from theory into practice, so that the world might see the success and imitate it. Following them came the men who held that, before the new society can be formed, the old society must be got rid of -the men who see but one way towards Socialism, and that through Anarchy. Louis Blanc was the first of these, although he would not have described himself as an Anarchist, nor would it be fair to call him one. He represented the transition stage. 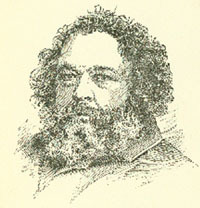 He attempted political reforms of a most sweeping character during the revolution of 1848. The government of the day established 11 national work-shops " as a concession to him. Of these more is said hereafter. 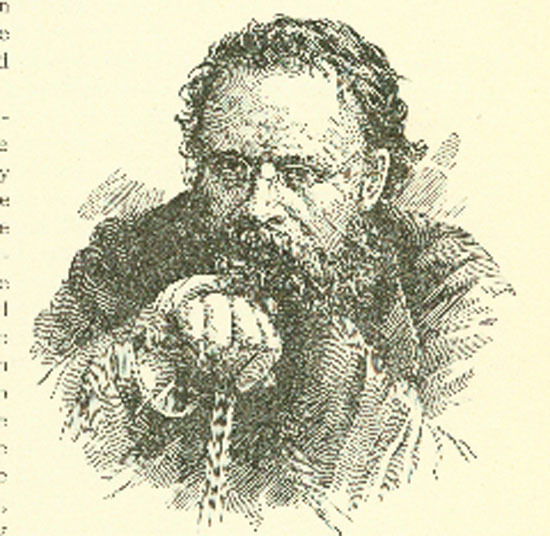 Pierre Joseph Proudhon, born in Besancon July 15, 18og, is really the father of French Anarchy. His great work, ,What Is Property?" was published in 1840, and he declared that property was theft and propertyholders thieves. It is to this epoch-making work that the whole school of modern Anarchy, in any of its departments, may be traced. Proudhon was fired by an actual hatred of the rich. He describes a proprietor as "essentially a libidinous animal, without virtue and without shame." 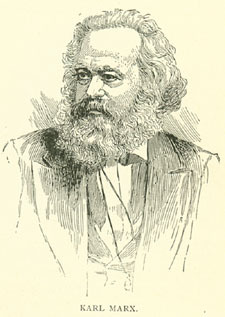 The importance of his work is shown by the effect it has- had even upon orthodox political economy, while on the other side it has been the inspiration of Karl Marx. Proudhon died in Passy in 1865. Since his time until within the last year or two, French Socialism has been but a reflex of the German school. It has produced no first-rates, and has been content to take its doctrine from Lassalle. Karl Marx and Engels, the leaders of the German movement, and Bakounine and Prince Krapotkin, the Russian terrorists, have impressed their ideas deeply upon the French discontented ones. 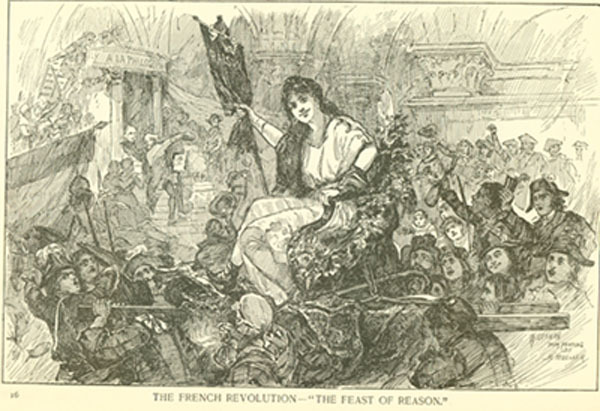 The revolt of the Commune of Paris after the Franco-German war was not exactly an Anarchist uprising, although the Anarchists impressed their ideas upon much of the work done. The Commifne of Paris means very much the same as 11 the people of Illinois." It is the legal designation of the commonwealth, and does not imply Communism any more than the word commonwealth does. It was a fight for the autonomy of Paris, and one in which many people were engaged who had no sympathy with Anarchy, although certainly the lawless element finally obtained complete control of the situation. The rising in Lyons several years later was distinctly and wholly anarchic, and it was for this that Prince Krapotkin and others were sent to prison. At the present day there is no practical distinction between Socialism and Anarchy in France. All Socialists are Anarchists as a first step, although all Anarchists are not precisely Socialists. They look to the Russian Nihilists and the German irreconcilables as their leaders. German Socialism is really the doctrine which is now taught all over the world, and it was this teaching that led directly to the Haymarket massacre in Chicago. It began with Karl Rodbertus, who lived from 18o5 to 1875. He first became prominent in Germany in 1848, and he was for some time Minister of Education and Public Worship in Prussia. He was a theorist rather than a practical reformer, but competent critics assign to him the very highest rank as a political economist. His first work was -Our Economic Condition," which was published in 1843, and his other books, which he published up to within a short time of his death, were simply elucidations of the principles he had first laid down. His writings have bad a greater effect on modern Socialism than those of any other thinker, not even excepting Karl Marx or Lassalle. His theories were brought to a practical issue by Marx, who united into a compact whole the teachings of Proudhon and of Rodbertus, his own genius giving a new luster and a new value to the result. Marx is far and away the greatest man that the Socialism of the nineteenth century has produced. He was a deep student, a man of most formidable mental power, eloquent, persuasive, and honest. His great book, 11 Capital," has been called the Socialist's Bible. Ely places it in the very first rank, saying of it that it is 11 among the ablest political economic treatises ever written." And while the best scientific thought of the age agrees that Marx was mistaken in his premises and his fundamental propositions, there is accorded to him upon every hand the tribute which profound learning pays to hard work and deep thinking. Coming from theory to practice brings us naturally from Marx to the International Society. It was founded in London in 1864 and was meant to include the whole of the labor class of Christendom. Marx was the chief, but he held the sovereignty uneasily. The Anarchists constantly antagonized him. Bakounine, the apostle of dynamite, opposed Marx at every point, and finally Marx had him expelled from the society. Bakounine thereupon formed a new Internationale, based upon anarchic principles and the gospel of force. The Internationale of which Marx was the founder has shrunk to a mere name, although the organization is still kept up, and the body with which the civilized world has now to reckon is that which Bakounine formed after his expulsion from the old body in 1872. 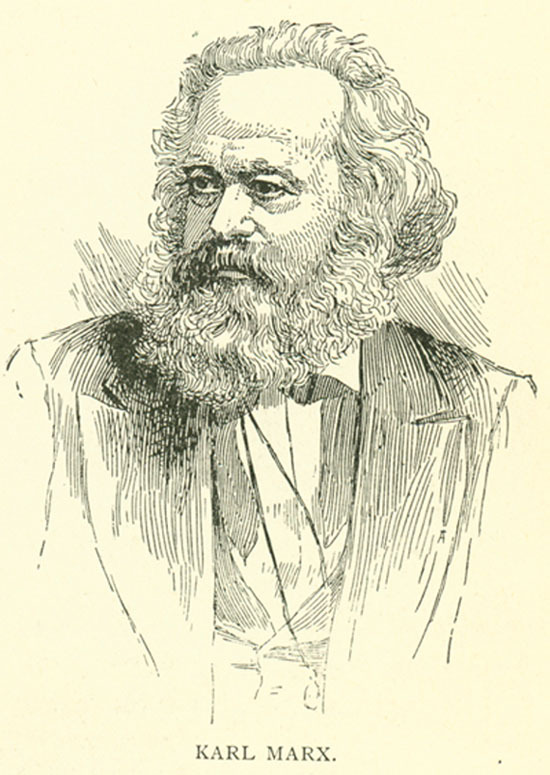 It is a curious fact that many of the Socialists in Chicago to-day are enthusiastic admirers of Marx and at the same time members of the society and followers of the man Marx declared to be the most dangerous enemy of the modern workingman. Marx is dead, however; many things are said in his name of which he himself would never have approved, and the 11 Red Internationale " proclaims the man a saint who refused either to indorse its principles or to consult with its leaders. It is the same as though, twenty years hence, the men who last year followed Barry out of the Knights of Labor were to hold up Powderly to the world as their law-giver and their chief. 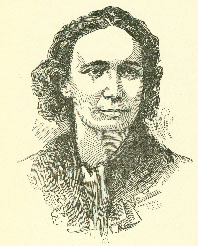 Louise Michel, who was a very active worker in the radical cause during the outbreak of the 'Paris Commune, was born in I83o, and first attracted attention by verses full of force which she published very early in life. She was sentenced in i87T to deportation for life, and was transported with others to New Caledonia. 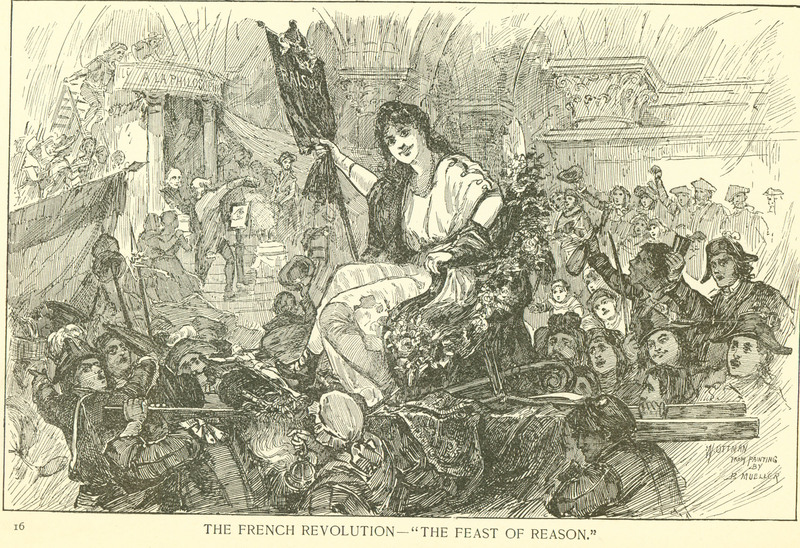 At the time of the general amnesty, in 188o, she returned to Paris, and became editor of La Relvolution Sociale. 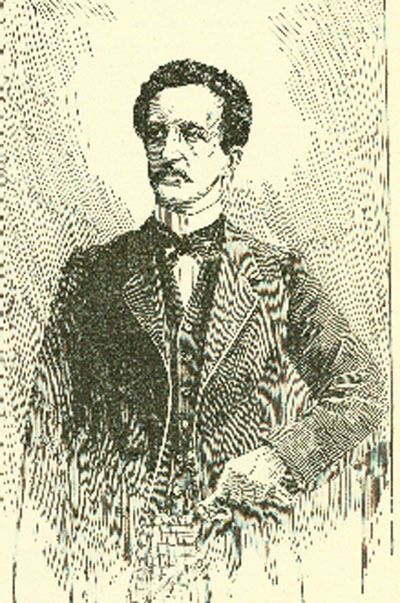 Ferdinand Lassalle, like Marx of Hebrew blood, and of early aristocratic prejudices, was the father of German Anarchy as it exists to-day. He was a deep student, and a remarkably able man. He took his inspiration from Rodberus and from Marx, but applied himself more to work among the poor. Marx was over the heads of the common people. His -Capital" is very hard reading. Lassalle popularized its teachings. On May 23, 1863, a few men met at Leipsic under the leadership of Lassalle and formed the 11 Universal German Laborers' Union." This was the foundation of Social Democracy, and its teachings were wholly anarchic. It aimed at the subversion of the whole German social system, by peaceful political means at first, but soon bv force. Lassalle was shortly afterwards killed in a duel over a love-affair, but he was canonized by the German Social Democrats as though his death were a martyrdom. Even Bismarck in the Reichstag paid a tribute to his memory. Lassalle died just about the time that a change was occurring in his convictions, and had he lived longer, and if contemporary history is to be believed, he would have taken office under the German Government and applied himself heartily to the building up of the Empire. After Lassalle's death the movement which he had initiated went forward with increased force. The German laborer was finally, as the Internationalists put it, aroused. The German Empire, following the example of the Bund, decreed universal suffrage in 1871. Before this, in Prussia especially, the laborer had but the smallest political influence. The vote of a man in the wealthiest class in Berlin counted for as much as the vote of fifteen of the "proletariat," so called. 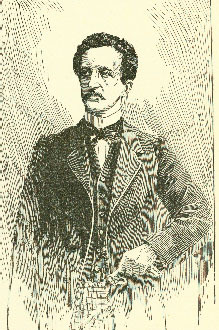 Lassalle died in 1864, and suffrage was first granted in 1867. The Social Democrats at first were in close accord with Bismarck. It was the Social Dcmocratic vote which elected 131smarck to the Reichstag in the first election after the suffrage was granted. In the fall of 1867 they sent eight members to the parliament of the Bund. In the elections after the formation of the Empire the Socialistic vote stood: In 1871, 123,975 ; in 1874, 351,952 ; in 1877, 493,288~ in 1878, 437,158. The Social Democrats poll nearly ic, per cent of the whole vote of Germany at the present time. In 1878 occurred the two attempts on the life of the Emperor of Germany described in a succeeding chapter, and the result was severe repressive measures against the Social Democrats. Their vote fell off, and their influence declined, but in the past two years, 1887 and 1888, they have more than recovered their past strength, and they now poll more votes and seem to exercise a greater political control in Germany than ever before. The passage of the 11 Ausnahrnsgesetz," the exceptional law againstGerman Socialists, drove many of them to this country, but had no effect in diminishing the propaganda in Germany. The result was an exodus of Socialists, or rather Anarchists, to America-by this time the two terms, wide apart as they may seem, had become one-and to Chicago came most of the irreconcilable ones. The *American sympathizers, thus formed, at first fixed their attention upon the political situation in the old country, and they applied themselves closelytowork in con- nection with the agitators who had not expatriated themselves. Money was sent in large quantities to the old country. In Germany, in the meantime, the movement varied and shifted with'each wind of doctrine; one president after another was tried and found wanting, until at last jean von Schweitzer was chosen, and he guided the party until it was finally swallowed up in the organization perfectedbyLiebknec, lit and Bebel. Liebknecht was really but an interpreter of Marx, but he was honest, enthusiastic and devoted, and no man in the whole line of German political energy has left his name more thoroughly impressed upon the time. Out of these conditions and born of these ideas came the Anarchy which hurled the bomb whose crash at the Haymarket Square first aroused us to the work which is being done in our midst. The Anarchists of Chicago are exotics. Discontent here is a German plant transferred from Berlin and Leipsic and thriving to flourish in tha west. In our garden it is a weed to be plucked out by the roots and destroyed, for our conditions neither warrant its growth nor excuse its existence. The central idea of all Socialistic and Anarchic systems is the interference with the right of property by society. If we can convince ourselves that society has the right and the duty thus to interfere, then there is to be said nothing more. As long as the American citizen can biry his own land and raise his own crops, as long as average industry and economy will lead a man to competence, Socialism can only be like typhus fever-a growth of the city slums. There is no real danger in it. There is no peril which those charged with the protection of law and order are not ready to face, for every officer of the law that unreasonable discontent may menace is backed by the whole power of the republic; and the republic is founded upon principles which this alien revolt can neither harm nor affright. The police of Chicago, like the police of every city in the Union, are actuated by no feeling of hostility to these people. We understand the genesis of their movement; we can put ourselves in their places and feel the things which actuate them; we are prepared to make as many excuses for them as they can make for themselves ; we are ready to grant everything that they could claim, and more ; but we see beyond this, and above this, facts which they forget and forego. We have a government in these United States so firm and so elastic that it has every bulwark against either foreign or domestic attack, and yet it provides every opportunity to adjust itself to the will of the people. The majority must rule, and does rule; but under our Constitution it rules only along lines decreed by the fathers long ago for the protection of the minority. There is a legal and constitutional means provided for every man to carry his theories of good government into actual practice. Every citizen has the right to vote, and to have his vote counted. and this right belongs to Anarchist and conservative, to radical and reactionist. There is no man can stand before the American people and say we have refused him his right: if it were done, the whole power of the Government would be marshaled to do him justice. When, then, we have provided every man with a means to impress his convictions upon the government of the country- when we have done everything that human ingenuity can do to secure a full and free expression of the popular will, as the final and supreme test upon every public question, we may be excused for refusing to let the Anarchists have their way. They are a minority of a minority, yet they would impose their system and their doctrine upon the majority. They would substitute for the ballot-box the dynamite bomb-for the will of the people the will of a contemptible rabble of discontents, un-American in birth, training, education and idea, few in numbers and ridiculous in power. Thus, while the police entertain no animosity against these men, we feel-I feel and every officer under my command feels-that we are bound by our oaths and by our loyalty to the State and to society to meet force with force, and cunning with cunning. We are the conservators of the law and the preservers of the peace, and the law will be vindicated and the peace preserved in spite of any and all attacks. If our system is wrong, which 1 do not believe; if the principle that the majority of the citizens is to be ruled by an alien minority is to be accepted, which I do not accept, still there is the orderly and well-protected means provided by law, and guaranteed by the Government, to transform that idea into a governing fact. There is the ballot, free to every citizen, safe, satisfying, final. The men who try other methods are rushing to their own destruction. We pity them, we sympathize with them; but our duty is clear and manifest. We have a government worth fighting for, and even worth dying for, and the police feel that truth as keenly as any class in the community.